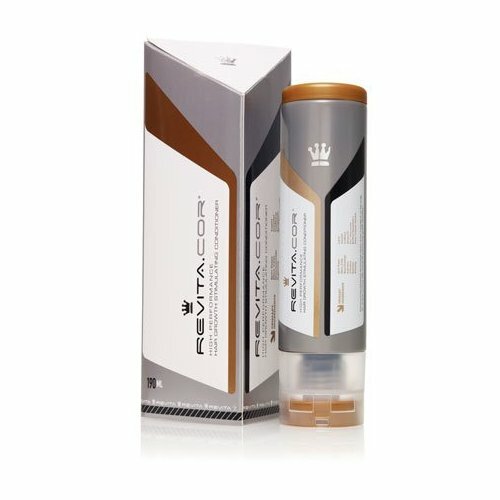 DS Laboratories Revita.COR air regrowth conditioner, the perfect compliment of Revita Shampoo by DS Laboratories, is the very pinnacle of what can be achieved through the latest advances in biotechnology. Building on the legendary success of Revita shampoo, Revita.COR establishes not only a new benchmark for comprehensive ingredient synthesis but also a new technology to keep ingredients working long after hair has been rinsed - for at least 12 hours. The ingredients in Revita.COR are encapsulated in cationically charged solid spheres that are both hydrophobic and bio-adhesive. This technology means that spheres will stick to the scalp and retain their ingredients for a maximum hair regrowth effect, even during sweating or swimming.